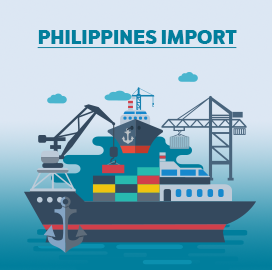 Philippines net imports valued at USD 115 billion in 2018, which registered about 3% rise from the previous year. According to the Philippines import statistics, the country has been recording a continuous increase in the import value of total commodities since 2014. The highest number of shipments arrived at the Filipino ports were of electrical machinery and equipment, Philippines Trade Data reveals. What is Philippines Import Data? How Philippines Trade Data is Useful? 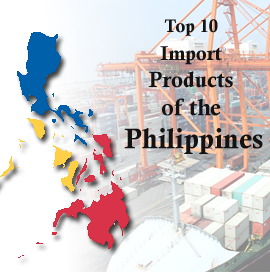 When it comes to export goods to the Philippines, a proper knowledge of its market is essential. Which commodities are mostly imported by the Philippines? Who are active and trusted buyers in the Philippines? Is there any import tariff on a product selected to export? How the price of that product is defined? These are some of the important questions that can only be answered by getting the right business intelligence information. 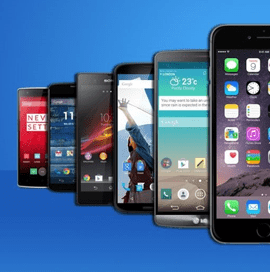 Ukraine’s imports of mobile phones valued at US$ 577 million in 2017, which rose from 2016’s US$ 426 million. The country imported total 7002517 pieces of mobile phones in this year. Mobile phone is one of the largest import commodities of Ukraine. This market intelligence information has been revealed by Export Genius from mobile phone import data of Ukraine with actual shipment records. 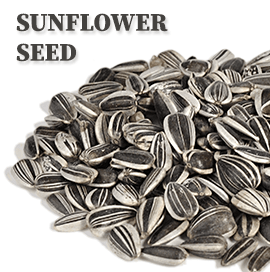 Kazakhstan is a major exporter country of sunflower seed and this product comes under HS Code 1201. Kazakhstan sunflower seed exports worth USD 89.24 million in 2017 which represented 2.5% value of the world’s exports for this product and the exports have been increased by 28% of value between 2013 and 2017. Export Genius has released a report on Kazakhstan sunflower seed exports which is analysed on the basis of various data segments. Let’s know the things that you will gain from our report. Vietnam imports of grapes from the world worth USD 64.30 million in 2017. 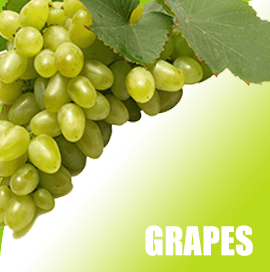 The country imports grapes into two categories such as fresh grapes and dried grapes. The fresh grapes which is classified under HS Code 08061000 recorded 92.47% value of the total imports in the said year. USA and Australia are its top grapes supplying countries and together they recorded over 68% of the total value. 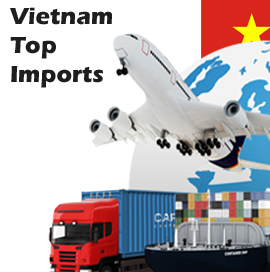 What is covered in our Vietnam grapes import data and report. Vietnam imports of apple fruits from the global market worth USD 66.54 million in 2017 while it was USD 51.61 million in 2016. 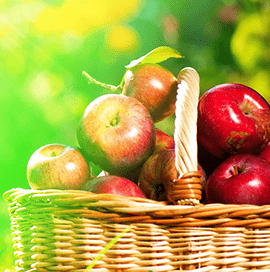 Apple is one of the most demanded fruits among the Vietnamese population. The country has purchased apple fruit throughout the year and the imports were least during the third quarter of year 2017. The United States is the biggest apple fruit supplier for Vietnam which covered over 40% of Vietnam’s imports. Vietnam is a major exporter of tablet computer in the world which worth USD 2956 million in 2017. 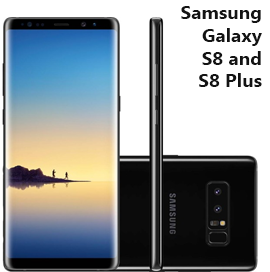 The country exports different brands of tablets to the world in which Samsung tablet has covered almost total exports and maximum tablets have been exported to the United States. 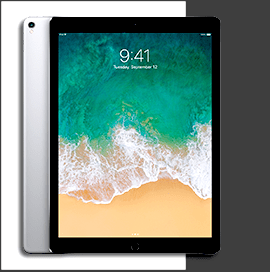 According to Vietnam tablet export report released by Export Genius, the tablet is classified under HS Code 84713010 recorded over 97% value of the total export sales in 2017. 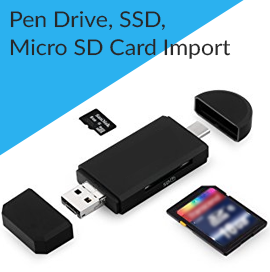 Increasing usage of digital content has created an inevitable demand for cost-efficient and high capacity data storage devices including SD Card, Pen Drive and SSD. If we analyse latest report on storage devices import into India during Jan-Dec 2017, we found that total shipments valued US$ 214 million arrived at country’s various ports. 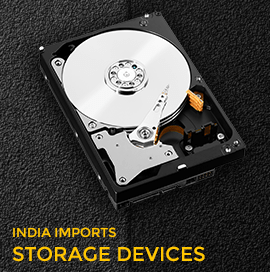 SD Card recorded the highest import value, which contributed almost 50% of total imports of storage devices into India. 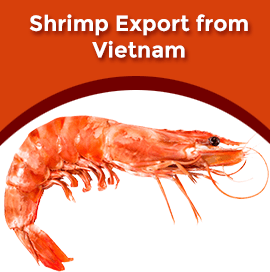 Vietnam is a major shrimp exporter country in the world. Vietnam exports of shrimp & prawn to the global market worth USD 464 million during the first quarter of the year 2018. Vietnam has great processing potential and the country can raise shrimps and prawns all year round to increase outputs due to favourable weather. 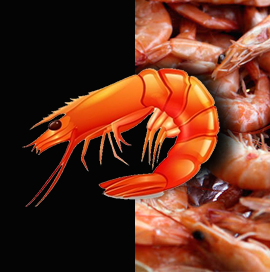 Shrimps & prawns are classified under HS Code 0306. The country has more than six thousand hectares of shrimp farming with two main species of black tiger and whiteleg shrimp. USA is the world’s largest mobile phone importer country with one of the highest smartphone penetration rates worldwide, followed by Hong Kong, Netherlands, Japan and Germany. 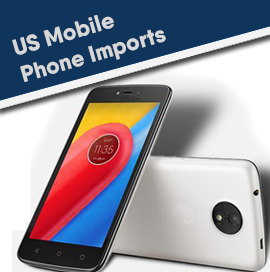 US mobile phone imports from the global market worth USD 56 billion which accounted 19.6% value of the global imports. China is the main market for selling mobile phones to the United States. 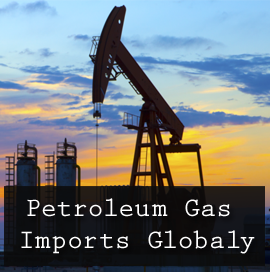 United States is the second largest crude oil importer country in the world after China. US crude oil imports from the world worth USD 139 billion which represented 15.5% value of the global imports in 2017. 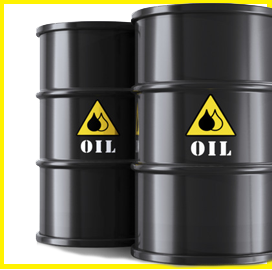 Crude petroleum oil comes under HTS Code 270900. The country has imported approximately 10.1 million barrels per day (BPD) of petroleum from more than 80 countries and about 79% of gross petroleum imports were crude oil. 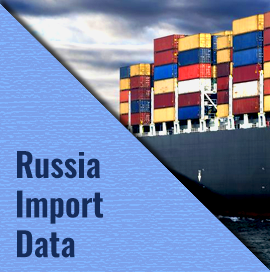 What is Russia Import Data? Why Global Traders Prefer Russia Customs Data? 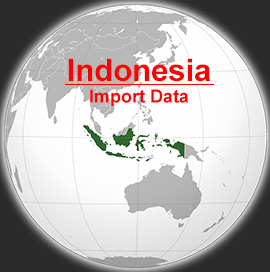 Why is Indonesia Import Data Important for Global Trade Business? 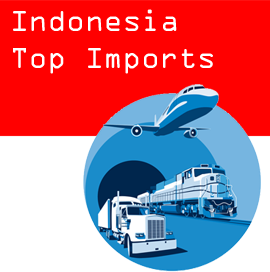 Indonesia is located in south-east Asia and ranked 29 in terms of imports in 2017. Indonesia imports worth USD 156 billion which represented 0.9% of the global imports during the same period. China and Singapore are its top import partners while crude petroleum oil, telephone sets and vehicle accessories are top import products. To export your product to Indonesia, studying the country’s market and gaining the in-depth knowledge helps in analyzing the business growth. 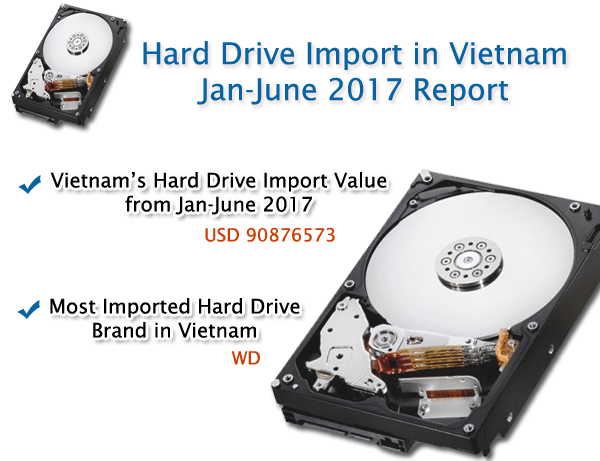 What is Vietnam Import Data? How Vietnam Customs Data is Useful? 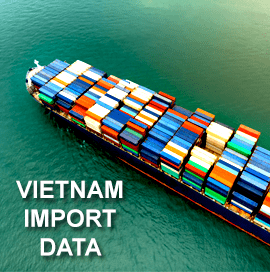 Vietnam import data is a valid key to study trade market of Vietnam. The success of business undertakings depends on the quality and reliability of trade data so it is considered as the valid key to success for trade business. The import data also provide the tariff charges, transportation charges, FOB value and elements of all taxes applicable to different imported products. 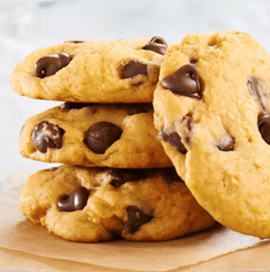 United States is the top importer of sweet cookies in the world and accounted for 15.8% of the global imports in 2017. USA is followed by France, United Kingdom and Germany in cookies imports. USA has recorded growth in imported value by 7% between 2013 and 2017 and 12% of growth in terms of quantity during the same period. US has purchased 443005 tons of cookies (sweet biscuits) from the global market in 2017. Mexico and Canada are its main source for importing cookies. China stood as the biggest import market of cotton yarn in the world, followed by Bangladesh, Honduras and Turkey. 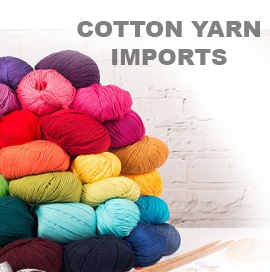 China imports of cotton yarn recorded USD 5065 million during the year 2017 which represented 41.7% of the global imports. Vietnam and India are the largest import partners of cotton yarn. China has been world’s largest producer of cotton for more than four decades but in case of cotton yarn, it consumes more than it grows. The United States of America is the top importer of shrimps in the world. Shrimp, which comes under HS Code 030617, is purchased by the US mostly from India. As per Export Genius report on US shrimp imports, the country purchased shrimps at a value of USD 5183 million in 2017, which increased from the previous year. And from Jan-Apr 2018, US imported total 202729 metric tons of shrimps from the global countries. Let’s have a wider look at US import market of shrimps. 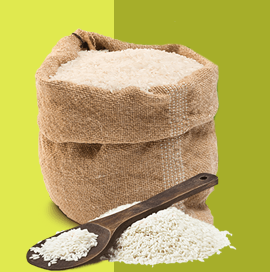 Rice, which comes under HS Code 1006, is one of the world’s most important staple food products. In Indonesia, there are at least 45 varieties of rice for wet-field production (Sawah) and 150 varieties of rice for dry-field production. Among top 5 rice producing countries, Indonesia rank third. China is the top producing country of rice, followed by India, while, Bangladesh and Vietnam stood at fourth and fifth position respectively. 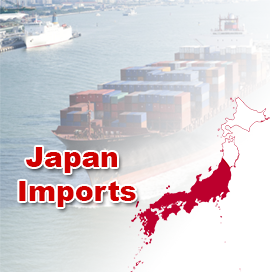 Japan is the fourth largest goods importer country in the world. Japan imports of goods from the world worth USD 671 billion in 2017 which accounted for 3.8% of the global imports. The country has recorded trade surplus of USD 26.24 billion in the said year and the country is focussing to reduce its imports. It has seen a decline in Japan imports by 7% in last five years. However, it is raised by 11% of value during 2016-17. 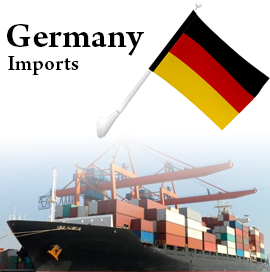 Germany is the third largest goods importing country in the world after the United States and China. Germany imports of goods worth USD 1173 billion in 2017 which represented 6.6% of the global imports. However, it has seen a rise in Germany imports by 11% of value during 2016-17. Germany is a home to the giant manufacturing sector and one of the biggest markets for exporting companies around the world. After putting trade war on hold, China is all set to import more natural gas from the United States of America. According to market research experts, the country’s natural gas imports, which currently account for more than 30% of domestic consumption, will continue to increase and boost Sino-U.S. energy trade. Natural gas, which comes under HS Code 27111100, is one of the largest traded products between China and the US. India is the largest producer, as well as traditionally the largest importer of pulses in the world to ensure steady supply of the protein-rich diet to its citizens. Pulses, which come under HS Code 0713, are annual leguminous crops yielding between 1 and 12 grains or seeds of variable shape, size and colour within a pod, which is used for both food and feed. Madhya Pradesh, Maharashtra, Rajasthan, Uttar Pradesh and Karnataka are the largest pulses growing states in India. India is one of the emerging markets purchasing personal computers and laptops from the global market. India laptop imports crossed 2300 million in the year 2017 and recorded highest imports from China with the value of 96.32%. Let’s take a look at the highlights of laptop import report of India 2017. There was a time when personal computers or rather laptops were considered far from a common man’s reach in India. However, over the past decade, laptops and PCs have become as common as TVs in India. Laptops are loaded with a number of helpful and innovative features and look beautiful too. In the recent years, the laptop segment of computers has surpassed the desktop sales. According to a market research report on India imports of laptops in 2017. Laptop has become one of the most popular devices among professionals and students. It is a portable personal computer with a clamshell form factor. Laptop has replaced the computer market in terms of selling across the country. 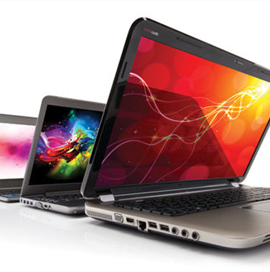 The imports of laptops have experienced steady rise over the past years. India laptop imports valued USD 2326.37 million in the year 2017. In terms of quantity, 5640495 pieces of laptops have been imported in the said year. The United States is the largest aluminum importer country in the world followed by Germany and Japan. 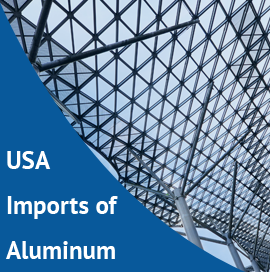 US aluminum imports from the world worth USD 23405 million during the year 2017 while it was USD 18734 million in 2016. The USA imported more than six million metric tons of the non-ferrous metal for consumption in 2017 and aluminum consumption in the United States largely occurred in the Midwest. Aluminum is the most energy intensive product in the United States. India is one of the biggest LED TV markets in the world. India LED TV import is to be raised in upcoming years due to various factors such as large untapped market, rapid urbanization, improving living standards and rising household incomes. The above Infographic is derived from LED TV Import report of India released by Export Genius, presented the import statistics of year 2017 based on actual shipment records. The LED TV market in India has experienced a robust growth during the last five years due to growing disposable incomes of the households and changing preferences of the customers for high-end products. 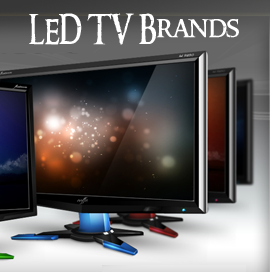 LED TV industry in India is one of the largest industries and also one of the biggest TV markets in the world. The major market players like Sony, VU, Haier, LLOYD and Samsung have maintained their market and became one of the most demanded television brands among Indian customers. 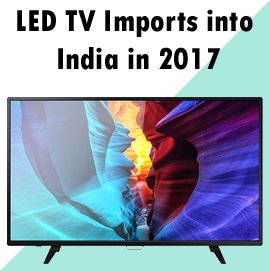 India’s imports of LED TV valued at USD 770260192 between Jan-Dec 2017, in which August month recorded the highest shipments. LED TV, which comes under HS Code 852872 at 6-digit level, is one of the widely imported electronics in India. Total 5302137 pieces of LED TV were purchased by India in the said period. 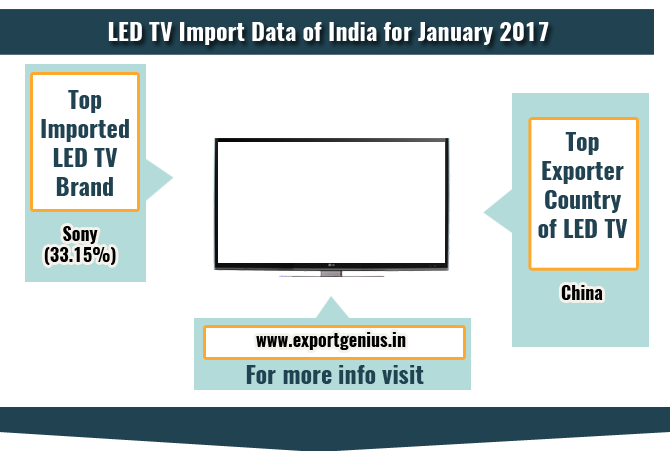 Here is in-depth analysis of LED TV imports in India with 2017 India import statistics of LED TV. 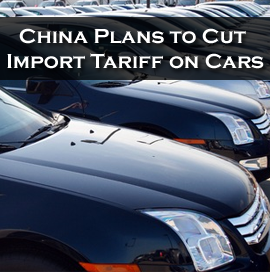 In a move to de-escalate recent trade tensions between China and the United States of America, China is planning to lower tariffs on car imports this year. As per the latest data collected by Export Genius from various sources on China-US trade, currently, China import tariff rates on finished vehicles including motor cars is 25%. India’s imports of refrigerators and freezers valued at USD 258 million in 2017, which is likely to jump further in upcoming years due to a number of factors including ecological changes, large untapped market, rapid urbanization, improving living standards and rising household incomes. This information has been released in a market research report on refrigerator & freezer imports in India 2017, prepared by Export Genius. India largely imports olive oil from Spain, Italy and Turkey. There are about 90 brands that compete with each other. The top three olive oil brands in the domestic market, which together control more than 70% share are Figaro, Borges and Leonardo. In order to safeguard domestic industry of olive oil, the Government of India has raised import duty rates on crude extra virgin olive oil from 12.5% to 30% and on refined olive oil from 20% to 35%. The demand for olive oil is increased by Indians in recent years. It is used for cooking as well as beauty purposes. It is also used to promote hair growth and many skin problems like dry skin and reducing fine lines. The craze for adopting healthy lifestyles by n-number of people in India are upgraded with daily exercise, yoga and consuming healthy food. Olive oils have replaced regular oils and it is beneficial in many ways like preventing cholesterol and heart disease. 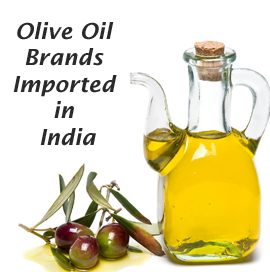 The olive oil market in India has been expanding rapidly on the back of increased consumption. India’s total imports of olive oil valued at USD 54753971 in 2017, which rose from 2016’s USD 42578000. The bulk of these imports came from Spain and Italy, which together constitute over 90% of India’s olive oil imports during Jan-Dec 2017. A market research report on olive oil imports into India, which is prepared by Export Genius shows that maximum olive oils shipments arrived in May month. Refrigerators also called as fridges are considered to be one of the very crucial equipment available in most of the houses. It is one of the most demanded things among the household items. It is used to keep foods and other items that we put inside stay cold. Its advantages include better storage, preserving foods and maintain the coolness of beverages. India imports of both refrigerators and freezers stood at USD 258 million in the year 2017. The refrigerator and freezer import industry in India has been increasing steadily since 2013, which is likely to further jump in upcoming years. Environmental changes, large untapped market, rapid urbanization, improving living standards and rising household incomes are major growth drivers for the refrigerator & freezer industry. Last year, i.e., 2017, India purchased refrigerators and freezers together worth USD 258 million. In 2017, Russia imports USD 226.96 billion worth of goods from the world. However, the country is not one of the largest importing countries in the world. Russia has world’s 6th largest economy by GDP PPP and 12th largest by nominal GDP. Russia became a member of World Trade Organization in 2012. It is also the member of other trade organizations such as GECF, CIS, APEC, G20 and others. The major imports of Russia mainly include machinery, electrical machinery, vehicles, medicaments etc. Russia has a mixed economy with an upper-middle income group and enormous natural resources, particularly natural gas and oil. It has the 12th largest economy in the world by nominal Gross Domestic Product (GDP) and the 6th largest by Purchasing Power Parity (PPP). According to a report on Russia imports and exports released by Export Genius, Russia’s imports rose to USD 226 billion in 2017 from 2016’s USD 182 billion. Mexico is one of the largest goods trading countries in the world. United States, followed by Germany, is the largest trading partner of Mexico. The country has the 11th largest economy by purchasing power parity and 15th largest by nominal GDP. Mexico is 13th largest exporter country in the world and 12th largest importer country. Mexico is also a member of various trade organizations such as APEC, NAFTA, OECD and WTO. Philippines is one of Asia’s fastest growing economies. It is a densely populated island having more than 100 million residents located in south-east Asia. Philippines exports stood at USD 63.23 billion and imports stood at USD 98.48 billion in the year 2017. China, Japan and United States are the largest trading partners of Philippines. 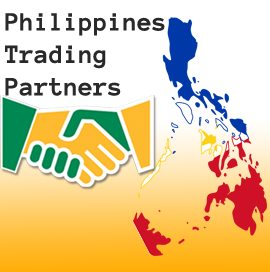 The country is also a member of various trade organizations such as APEC, ASEAN, WTO, EAS, AFTA and others. Brazil’s imports valued at USD 150 billion in 2017, which rose from 2016’s 137 billion. And Brazil’s exports valued at USD 217 billion in 2017, which increased from USD 185 billion in 2016. This means, the country recorded trade surplus of 67 billion in 2017 as its exports were higher than its imports. Brazil has played a major role in the global market during past few years. It is being an emerging economy and still developing economically. India is the 13th largest air conditioner importer country in the world. India imports of air conditioners from the world worth USD 851 million in 2017 and recorded USD 860 million in the year 2016. India recorded two-thirds of its AC import value between January and May of 2017. Air conditioning machines are mainly classified under HS Code 8415. 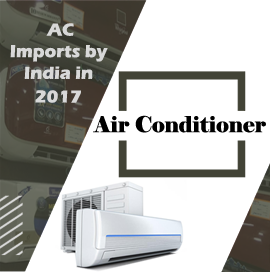 Let’s take a look at the highlights of Air Conditioner import report of India 2017. China’s imports of total commodities declined to USD 1587 billion in 2016 from 2015’s USD 1679 billion. The country’s total imports rank 02 in the world during 2016. A report on China’s top imports with China imports statistics, which is revealed by Export Genius, shows that the country imports electrical machinery and equipment of Chapter 85 the most. And China’s largest import partner of total commodities is Republic of Korea. Mexico imported US$ 420369 million worth of goods from the countries around the world in 2017, which increased from 2016’s US$ 387064 million. A market research report on Mexico’s top imports 2017, which is released by Export Genius, shows that since 2013, the value of country’s total imports rose by 10.3% in 2017 and up by 8.6% from 2016 to 2017. What does Mexico import maximum? Well, it is electrical machinery & equipment of Chapter 85, which shared 20.43% value to country’s total imports. India’s imports of air conditioners in 2017 stood at USD 851 million, Export Genius business intelligence report reveals. Most of the AC shipments arrived at Indian ports during January to May months. The country received total 4188662 pieces of air conditioners from the global countries in the said year. Import data of AC shows that India imported air conditioners of Mitsubishi brand the most, which shared 18.99% value to total AC imports. The estimated value of Sri Lanka purchasing power parity stood at USD 278 billion in the year 2017 while it was USD 265 billion in 2016. Sri Lanka has a trade deficit with most of the countries as the country exports labour, tourism and debt foreign borrowings. Sri Lanka imports of goods from the world worth USD 19500 million in 2016 and total imports raised by 3% of value during 2015-16. The Philippines imports in 2016 valued at USD 85908 million, which increased from the previous year. The country rank 34 in the world’s total imports, while its total imports rank 6 in the ASEAN region. Export Genius report on Philippines imports reveals that the country is the largest importer of electrical machinery & equipment under 2-digit level HS Code. And under 10-digit level HS Code, it imports parts of electronic integrated circuits & micro-assemblies. India is one of the biggest markets purchasing air conditioner from the other countries of the world. India imports of air conditioner from other countries worth USD 851 million in the year 2017 while it was USD 860 million in 2016. It is mainly classified under HS Code 8415. India mainly imports air conditioners in three categories such as complete unit, outdoor unit and indoor unit. Brazil’s economy is the largest in Latin America and the world’s eighth largest in the world. It has a mixed economy with abundant natural resources. After rapid growth in preceding decades, Brazil has been reeling under recession since 2014. Brazil enjoyed trade surplus of USD 66989 million in 2017. In fact, since 2015, the country has been recording higher exports than imports. This article focuses on import market of Brazil with listing of top 5 import products. Indonesia is the world’s 16th largest economy as measured by nominal Gross Domestic Product (GDP) and 8th largest on Purchasing Power Parity (PPP) valuation. The country uses a tariff schedule based on the Harmonized Commodity Description and Coding System up to 10-digit level for classifying goods. Indonesia is a member of the Association of South East Asian Nations (ASEAN), in which it ranks 5 in imports. 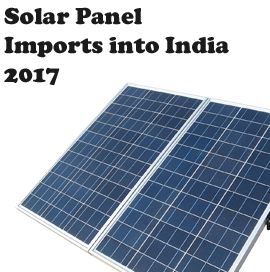 India both imports and exports solar panel (HS Code 85414011), but it more imports solar equipment than exports. The country’s imports of solar panel increased by 39% and exports dropped to 56% between 2016 and 2017. One of the major reasons for this scenario is that Chinese solar panels are 10-20% cheaper than domestically manufactured solar modules and no manufacturer wants to willingly pay more. India import palm oil in two categories such as crude palm oil and RBD (refined bleached deodorized) palm oil. Crude palm oil is the most versatile of all vegetable oils while RBD palm oil is used cooking oil and frying oil for food industries. 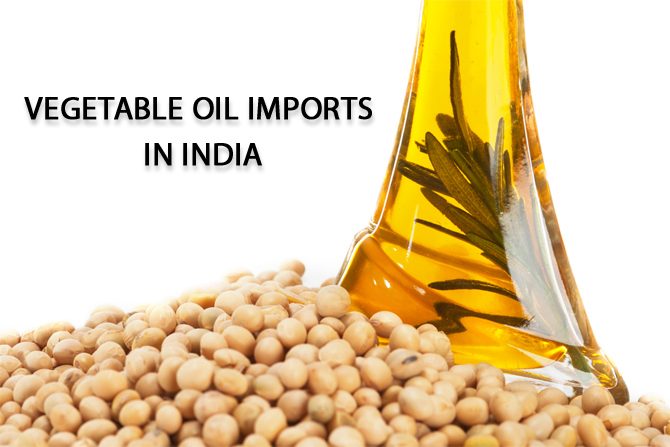 India is one of the leading vegetable oil buyers in the world and also the largest palm oil importer country. India is the world’s biggest buyer of palm oil, which accounted USD 9748 million during 2017. The country imported 13131666 MTS of palm oil from the global countries, especially from Indonesia and Malaysia in the last year. According to a report on palm oil imports in India, revealed by Export Genius; June month recorded maximum import shipments of crude palm oil, which accounted USD 1121 million. Total 1512360 MTS of palm oil imported into India in the month of June. Vietnam’s import shipments of total products amounted to USD 201560 million in the year 2016, which rose from 2015’s USD 165775 million. A report on Vietnam’s top imports prepared by Export Genius shows that since 2012, Vietnam has been recording a surge in the import value of total commodities. 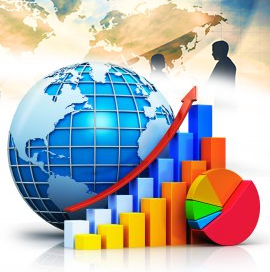 This market research company provides import export data of 60+ countries and analysis reports of 20+ countries with actual shipment records. Imports in Pakistan increased to USD 46998 million in 2016 from 2015’s USD 43989 million. During past 5 years import of products, Pakistan recorded maximum import value of goods in 2014, which amounted to USD 47544 million. A market research report on main imports of Pakistan released by Export Genius shows that Pakistan imports mineral fuels & oils the most from the world countries under 2-digit level HS Code. India’s domestic production of the gold is very limited and gold mining in India is really quite small. The country has very negligible gold production. It is founded that more than 60% gold consumption of India met through imports and India gold consumption one-fourth of the world’s total gold production. India is the largest gold consumer country in the world and the major demand of gold in India has taken the form of jewellery. 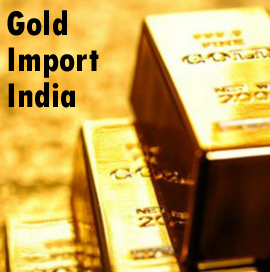 According to Gold Bar Import Report, India stood as the sixth largest gold importing country in the world. India imports of gold stood at USD 30626 million during 2017. Gold bar with high purity is the most demanded among Indian population top import in this category. In India, the jewellery products are mainly importing by banks and large companies. The small companies running their business by dealing with these giant market players. When it comes to import goods from China, into the United States of America, it is not an easy task for businesses, especially for the start-ups. 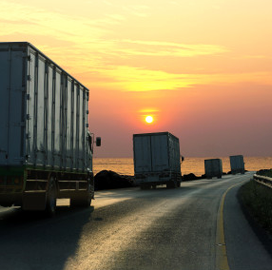 It is required to have a full knowledge of business chain from shipping goods to transporting them onto destination. So, importing items from China into the USA requires establishing relationships, setting up shipping and navigating the regulatory channels of US Customs. Here are 4 ways to import goods from China into the USA. 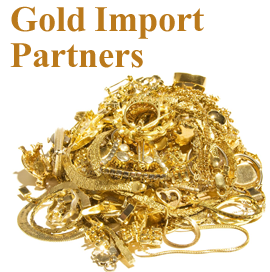 India is the sixth largest gold importer country in the world after Switzerland, China, UK, UAE and Hong Kong. India is also largest gold consumer country in the world. 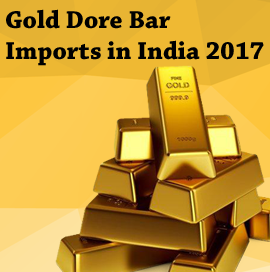 India gold imports stood at USD 30626 million during the year 2017 and imported half of the total gold from Switzerland only. The country is receiving maximum gold shipments from Delhi Air i.e. 45% of the total quantity. The world import of products stood at USD 16053 billion during 2016. 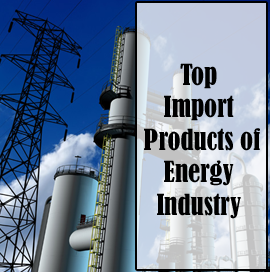 The top import product categories are electrical machinery, mechanical appliances and mineral fuels & oils. The slowest growing import category is mineral fuels & oils which was down by 19% during 2012-16. While the fastest growing import category is pharmaceutical including medicaments which recorded up by 2% since the year 2012. Butadiene defines as a colorless, non-corrosive gas that condenses to a liquid and a versatile raw material used in the production of a wide variety of synthetic rubbers and polymer resins. It is mainly used a chemical intermediate and as a monomer in the manufacture of polymers like synthetic rubber and also it helps to make different things such as tires, gloves, wetsuits, hoses, gaskets and seals. India imported USD 356 billion worth of products around the world in 2016. This figure declined from 2015’s USD 390 billion. And month-wise import data of India available till Sept 2017 shows that India’s total imports amounted to USD 31 billion in Jan, USD 33 billion in Feb, USD 39 billion in Mar, USD 38 billion in Apr, USD 37 billion in May, USD 36 billion in Jun, USD 33 billion in Jul, USD 35 billion in Aug and USD 37 billion in Sept last year. 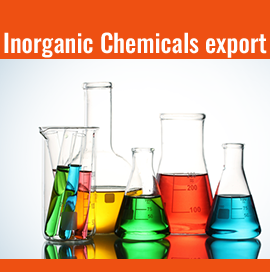 The global inorganic chemical industry imports worth USD 107576 million during 2016 and it is one of the fastest growing sectors of the manufacturing industry. It is being shaped by the following trends that are impacting business models, processes and product segments of multinational companies. Industrial inorganic chemistry includes subdivisions of the chemical industry that manufacture inorganic products on a large scale. Global imports of petroleum crude oil amounted to USD 668 billion in 2016. Overall, the total import value of crude oil declined in this year from the previous year’s USD 810 billion. Petroleum crude oil, which comes under HS Code 2709, is the most traded product all over the world. Despite that the imports of crude oil have been declining globally since 2012. China is the largest importer country of petroleum crude oil with USD 116 billion import value recorded in 2016. India’s coal imports amounted to USD 12707 million in 2016, which declined from 2015’s 14115 million. Despite being one of the largest producers of coal, India belongs to group of top importer countries of coal to meet the demand. Since 2014, the country has been recording a decline in the total imports of coal. 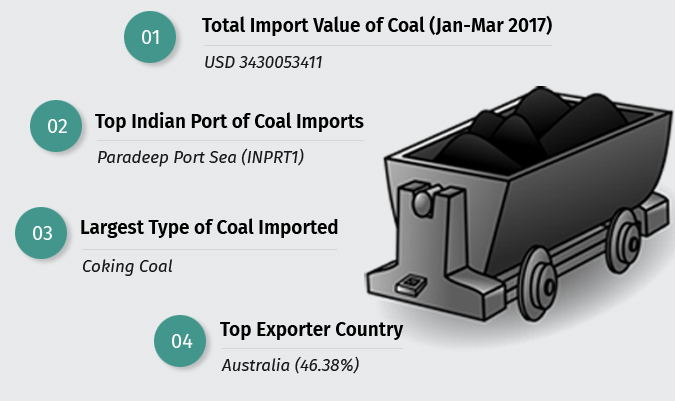 Despite the fact that India imports coal maximum from Australia, Indonesia and South Africa; the imports of coal from North American countries have been rising since 2015. 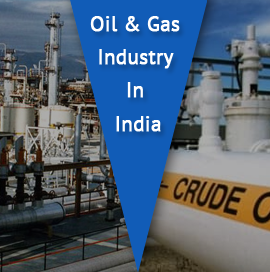 The energy sector is one of the talked-about industries as it involves a complete line of fields that are involved in the production and supply of energy, including fuel extraction, manufacturing, refining & distribution. As per Harmonized Commodity Description and Coding System, all energy-based products come under Chapter 27, in which mineral fuels, mineral oils, bituminous substances and mineral waxes are covered. Pipelines are one of the most economical modes of transport for oil and gas. They are getting longer as resources slowly decline and countries grow more dependent on imports from a range of fields across the world. Oil and gas pipelines are diverging out as more and more countries rely on imports for their energy supplies. Oil and gas companies are extending their reach by expanding their network of pipelines. United States of America is the world’s largest economy by nominal GDP and second largest by purchase power parity. It stood as the largest importer of goods in the world and represents 14% of the world’s imports. It recorded USD 2248 billion worth of import goods from around the globe during the year 2016 and US trade deficit was USD 798 billion. The United States imports have been decreased by 4% since 2012. The most recent imports are led by Motor Cars followed by Crude Petroleum. Petroleum coke is a final carbon rich solid material that derives from oil refining. It is abbreviated as pet coke. 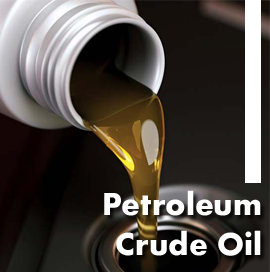 It is produced in the production of synthetic crude oil from bitumen extracted from oil sands. The chemical and physical characteristics of pet coke are a function of the crude oil and refining technology used by the refinery. 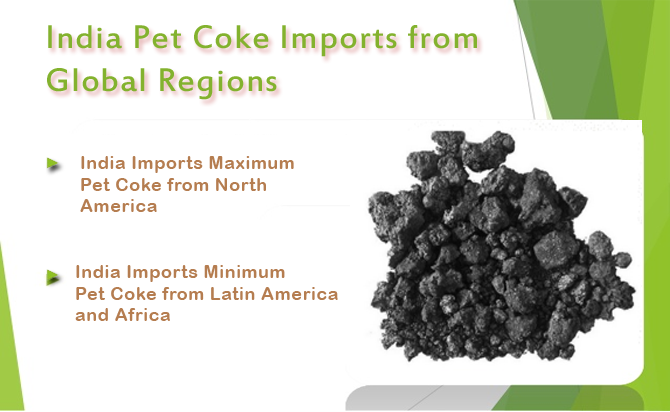 India is second largest pet coke consuming country in Asia after China. 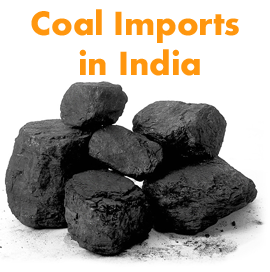 India is the 2nd largest petroleum coke consuming country in Asia, after China. In the last few years, pet coke consumption in India has been increasing due rising demand of coke across cement and aluminium industries. And ongoing investments in industrial and commercial sector along with measures to reduce dependency on coal will embellish the growth of pet coke industry. 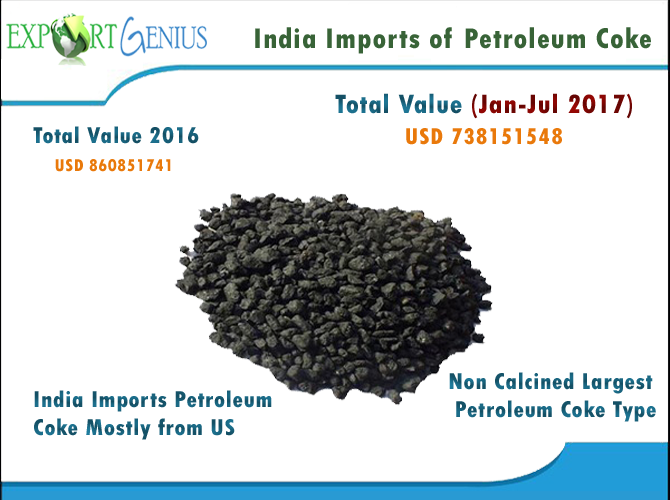 In 2016, India imports of petroleum coke rose to USD 860851741 from 2015’s USD 678438821. 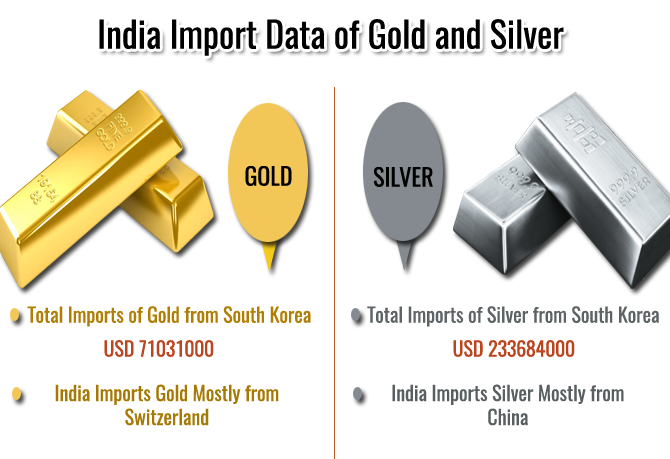 India has restricted imports of gold and silver items from South Korea in order to check sudden increase in inbound shipments of precious metals from that country. The importers of gold and silver in India will now have to obtain a license from Directorate General of Foreign Trade (DGFT) for importing articles of gold and silver from South Korea. This has been done on the basis of reports on rising imports of gold and silver from South Korea. Electronics industry of Vietnamese economy is growing rapidly. The vast majority of the electronics industry in Vietnam is dominated by foreign companies. Foreign companies looking to invest in Vietnam can take advantage of many of the free trade agreements. Currently, domestic electronic enterprises are not adding to the supply chain since most materials are imported. Electronics include phones, hard disk, hard drives etc. Hard Drive is used to read from and write to a hard disk. Imports of vegetable oils in India has seen a rise of 34% for the month July, 2017 at 15.24 lakh tonnes. The vegetable oil import in the month of July 2016 stood at 1.14 lakh tonnes. According to Industry data, the rose on higher shipments of cheaper refined palm oil and rupee appreciation in last six months. The value of rupee in last six months contributed to the imports of vegetable oils. The vegetable oil includes both edible and non-edible oil. As an exporter, finding active buyers for your products can be one of the most difficult challenges in your business, particularly when you’re just about to start. Supplying goods to another country is never easy; you need to go through language, cultural norms, travel barriers and trade policies in order to succeed. However, new & cutting-edge technology makes the world closer & smaller and finding overseas buyers much simpler than it was in the past. What Types of Alcoholic Beverages recorded the highest Import in India? 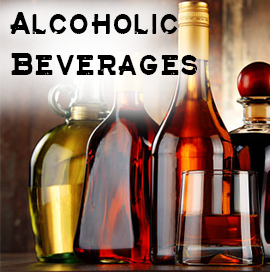 The most popular alcoholic Drinks/Beverages which are imported in India such as whisky, wine, scotch, beer, vodka, brandy, tequila, liquor etc. 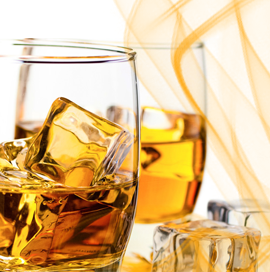 Whisky is the most imported alcoholic drinks in India which covered more than half of the market. The whisky import value of India recorded USD 43916120 in Q2 of 2017. As per the official’s records, India is one of the greatest producers of liquor across the world. Beer is considered as most widely consumed alcoholic drink in the world and 3rd largest beverage, after tea & water. In India, both national brands like Kingfisher and international brands like Corona of beer are quite popular in India. Besides whisky and wine, the country also imports beer to meet the consumption. 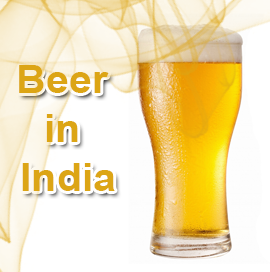 As per latest market research reports, import of beer in India is third largest among all alcoholic drinks. India is a complex drinks market where wine’s share is extremely small than whisky. Wine is one of the most popular alcoholic drinks in India. If we check the recent stats of alcoholic drinks import data, wine import business in India recorded USD 6500141 during April-June 2017. The Indian wine industry has been steadily growing over the last years. 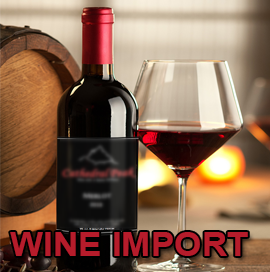 India did constant import business of wine during this period i.e. USD 2011699, USD 2327624, USD 2160819 in April, May and June respectively. No wonder India stands on top in the global list of whiskey consuming countries. Traditionally, most whisky consumption is of lower end Indian whiskies. However, with better standard of living, Indian consumers are also opened to best whisky brands in world such as Johnnie Walker, Chivas Regal and Black Dog. They are now appreciating the varied nuances taste and complexity profiles these premium whiskies have to offer. So, let’s talk about whisky market in India by analysing India import statistics of whisky recorded between April and June 2017. India’s Nhava Sheva Sea port, which is located in Maharashtra, recorded maximum import shipments of alcoholic drinks during Apr-Jun 2017. According to a report on alcoholic drinks import data of India, shipments valued USD 31975756 arrived at this sea port in the said period. Tuglakabad ICD and Chennai Sea stood as the 2nd and 3rd largest Indian ports at which maximum shipments of alcoholic beverages entered in Q2 of 2017. Let’s have port-wise analysis of alcoholic drinks imports in India. India’s total imports of alcoholic drinks during Apr-Jun 2017 recorded USD 61838727. Alcoholic drinks import data of India shows that import value of the product rose in May and declined in June. 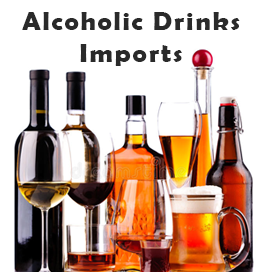 The import statistics of alcoholic drinks stood at USD 19097565, USD 22521261 and USD 20219901 in April, May and June respectively. 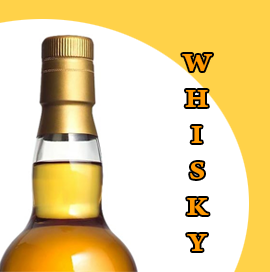 Whisky was the largest type of alcoholic drinks in India imported in the said period. Its total share in value of three months recorded 62.10%. 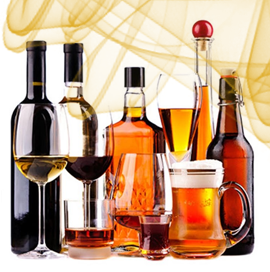 Alcoholic beverage contains a substantial amount of ethanol. It is a depressant which in low doses causes euphoria, reduced anxiety, sociability and in higher doses causes drunkenness and unconsciousness. Alcoholic drinks are legal in most of the countries across the world and it also plays an important role social role in many cultures. It is one of the most widely used recreational drugs in the world which classified into wines, beers and spirits. India stood as the 8th largest importer of mobile phones across the world. The mobile phones are imported by India in two categories i.e. CBU (Completely Built Unit) and CKD (Completely Knocked Down). CBU means the product do not require an assembly before they can be sold out to the importers in the target country’s market. CKD is one which is imported in parts and not as one assembled unit. Such units are first sent to an assembly plant where all these parts are assembled. India is one of the largest television markets in the world. Television industry has thousands of programs in all states of India. India has imported around 73730 LED TV under HS code 85287215. Television imports data can be used for competitive analysis of business through Product Prices, Quantity, Screen Size etc. Export Genius provides the updated report of television imports based on genuine shipment details.